Cruz Air Conditioning & Heating is the local, go-to source for all of your heating and air conditioning service needs in Killeen, TX. We specialize in repairs, unit upgrades and preventative maintenance for residential locations. We’re also proud to have the expertise to work with any kind of unit and any brand. Founded in 2009, Cruz Air Conditioning & Heating was built on the ideals of providing reliable, affordable and high quality repairs, unit upgrades and preventative maintenance for all of the residences in Killeen, TX and the surrounding areas, within 10 miles of our home location. Today, we do just that. 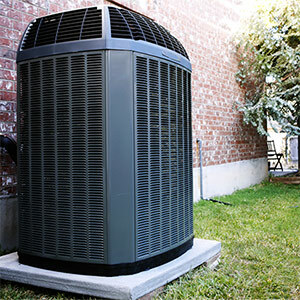 As a result, we are one of the most popular choices for heating & cooling repair in the area. We focus on customer satisfaction and take pride in offering high-quality, trustworthy results, regardless of what type of heating or air conditioning services you are in need of. We expertly provide a full range of heating and cooling services, from furnaces to air conditioning units. We serve all of Killeen, TX and the surrounding areas, within 10 miles. We are focused on customer satisfaction and reliable service. Our highly trained and dedicated technicians offer truly efficient and high quality work. We offer affordable prices and preventative maintenance that works, resulting in repairs that last.